Cornwall receives Objective One funding | Cornwall For Ever! In 1999, Cornwall and the Isles of Scilly were among the poorest parts of the United Kingdom. This meant that they could receive millions of pounds of funding from the European Union. This funding programme was known as Objective One. 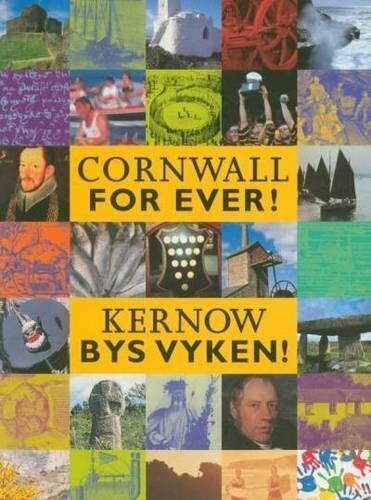 Yn 1999, yth esa Kernow ha Syllan yn-mysk an boghosekka rannow a'n Ruvaneth Unys. Hemm a styrya y hyllens i degemeres milvilyow a beunsow a arghasans dhyworth an Unyans Europek. Aswonys avel Amkan Onan o an dowlen arghasans ma. Until 1998, Cornwall, the Isles of Scilly and Devon were seen as one economic region. This meant that we did not know how poor Cornwall and the Isles of Scilly really were. People campaigned for Cornwall and the Isles of Scilly to be treated as a separate economic region. They said that Cornwall and the Isles of Scilly had a very different economy to Devon and that they also had distinct cultures and histories. The campaign for a separate economic region for Cornwall and the Isles of Scilly was successful. This was very important because it showed a growing awareness of Cornwall’s separate identity. It also meant that the UK government could see how poor Cornwall and the Isles of Scilly actually were. Evidence showed that this was not only one of the poorest regions in the UK, but also one of the poorest in western Europe. The poverty of Cornwall and the Isles of Scilly meant that they could receive millions of pounds in funding from Europe under a programme called Objective One. The funding was used to help develop food production, farming, tourism and the creative industries in Cornwall. Importantly, it was also used to develop the Combined Universities in Cornwall (CUC) project – bringing a university to Cornwall for the first time. This project supported the Combined Universities in Cornwall (CUC). It helped recent Cornish graduates to find placements with small and medium sized businesses in Cornwall. These talented graduates then helped to strengthen and improve the businesses. The scheme (now called Unlocking Potential) still operates. European funding of £1 million was spent on Bude’s unique canal. The funding helped to repair the canal and promote it to Cornwall’s visitors. The project also improved the environment around the canal, provided more facilities for visiting boats, developed walking routes and created new business space within the canal’s historic buildings. The project created or helped to keep 100 jobs. The parishes of St Just, Zennor, Towednack and Morvah in the far west of Cornwall received £2 million of European funding. The project improved the environment and services in these parishes by placing ugly overhead cables underground, reducing traffic flow through villages, creating community spaces and increasing access to the area’s mining heritage. These improvements helped Cornish mining gain World Heritage Site status in 2006. The project created or helped to keep 150 jobs. This project created five new learning centres across the Isles of Scilly. Residents were able to learn new skills to better equip them for the workplace or improve their job prospects. Almost £124,000 of European funding was used to support the project.